More than a decade after the initial onset of conflict in their homeland, Darfuri refugees remain in twelve refugee camps throughout Iriba and Guereda, near the Chadian border with Sudan. In these twelve settlements, the Jesuit Refugee Service (JRS) runs its largest education project worldwide, and for the past few years, this project focused on supporting students and educators transition to a new curriculum. The success of these students, teachers, and the JRS staff involved in this initiative is evident in the results of this year’s Baccalaureate exam (BAC), a Chadian government exam mandatory to certify secondary education. 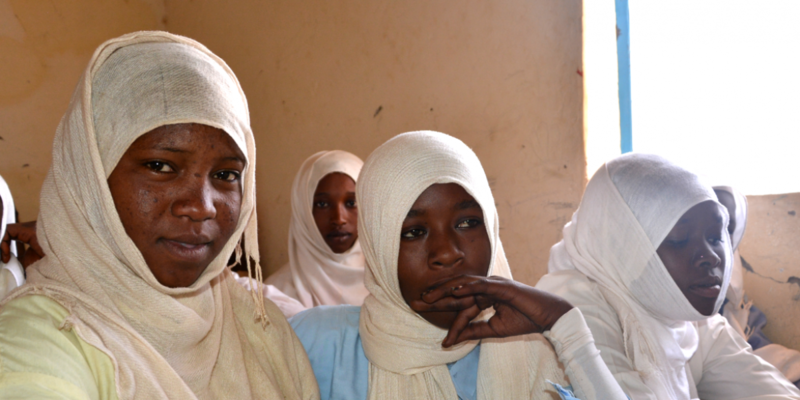 In 2017, more Darfuri students from eastern Chad registered to take the exam than ever before, most those who sat for the exam were approved, and more young women participated than in the years previous. As in many refugee communities, education remains an essential part of everyday life and an important priority for Darfuri refugees. “When a population moves to a place, due to emergency situations (and particularly after conflict), education is key to restoring child protection standards and promoting well-being, as well as restoring the community,” explains Nadezhna Castellano, JRS’s International Education Specialist. Since 2003, schools in the twelve camps housing Darfuri refugees in eastern Chad were still following the Sudanese education system. In 2014, the UNHCR and Chadian Government resolved to begin transitioning the academic curriculum used in these schools to the standard Chadian curriculum used throughout the country. The transition was not easy, and challenges were met at pedagogical, organizational, and political levels: teachers remained unfamiliar with the new curriculum, differing educational structures struggled to be mediated, and textbooks did not exist at many levels. For refugees and other vulnerable communities, a change like this is also difficult on a societal level, “Curriculum represents communal and national identities. We study our geography, our language, and our history…and when you have lost everything, sometimes education is the only heritage you can provide to your children,” says Nadezhna about the difficulties of curriculum transitions within a context of displacement and humanitarian emergency. When a population moves to a place, due to emergency situations (and particularly after conflict), education is key to restoring child protection standards and promoting well-being, as well as restoring the community. In response to these challenges, JRS focused their programs in eastern Chad on educational initiatives that included developing greater teacher capacity. This was done in part through a mentorship program in which Chadian education professionals tutored Sudanese teachers. Equally important was empowering young students with sufficient preparation and encouragement to take the BAC. Some of the educational programming was also specifically geared towards helping to engage, support, and empower young women. Now, a few years later, the benefit of the transition is coming full circle, and JRS is proud of the accomplishments of the Darfuri students involved in this project. In the next few years, opportunities for successful higher and professional education will only continue to expand in eastern Chad, as JRS education programs focus on supplying additional student scholarships, school kits, continued teacher training, and education advocacy. As an organization, JRS priorities the need of education for displaced populations living in contexts of uncertainty. For Darfuri students living in eastern Chad, the future of education is bright and more certain than ever before. JRS builds on the Jesuit experience in giving people the opportunity to rebuild their lives.